Banks remain active in refinancing, but tighter regulations are creating space for competitors. Turbulence in the CMBS market early in 2016 created refinancing opportunities for other commercial real estate lenders, which filled the void even as concerns over increasing federal regulations, rising interest rates and falling cap rates loomed. Thorofare offers fixed-rate bridge loans from a $300 million fund. Its interest rates range from 7 to 9 percent, with six- to 24-month terms for a three-year maximum. It also has a strategic partnership with hedge fund DoubleLine Capital LP to originate, underwrite and service middle-market CRE bridge loans ranging from $5 million to $20 million. Josh Zegen, co-founder & managing principal of New York-based Madison Realty Capital, a real estate investment firm focused on middle-market debt and equity investments, credited new bank regulations with creating more opportunities. “The private lending world is really filling the void, and we were an active participant,” he said. Attorney Ken Fields, a partner & head of the real estate practice at Greenberg Glusker in Los Angeles, said low cap rates are contributing to lower sales volume. “I’m seeing a little less transaction volume in certain asset classes because of how low they are,” he said. Fields said his firm does more life insurance, bank and Freddie Mac and Fannie Mae deals than CMBS transactions. Almost all the large multifamily deals in the last two years have been Fannie or Freddie. Meanwhile, the Federal Reserve still hasn’t raised interest rates, a year after Chair Janet Yellin’s suggestion of an impending increase led to a spike in first-quarter closings, noted Richard Spengler, executive vice president & chief lending officer at Investors Bank, a commercial bank chain headquartered in New Jersey. Meanwhile, Spengler said federal regulators are “concerned with the rapid growth in the commercial portfolios of banks in the Northeast region.” He said the FDIC was concerned that some commercial lenders were offering five and seven years of interest only, noting that it was ironic that the FDIC was criticizing commercial lenders for interest-only CRE loans when many were doing it to compete with Freddie Mac and Fannie Mae interest-only loans. Investors Bank has been increasing its portfolio of CRE loans, according to Spengler. The total CRE lending portfolio is expected to be just under $9 billion this year, with refinancing accounting for about 65 percent of originations. Most of the loans have been for five years, although some are 10- or 12-year loans with one rate adjustment after five or seven years. Interest rates average in the mid-3s. Mitch Paskover, president of Continental Funding Group, a Los Angeles-based mortgage banking firm, said the banks are “being very aggressive right now.” Unable to compete with life insurance companies for longer-term fixed-rate loans, they are offering five- or seven-year fixed-rate loans with rates that range from 3.3 percent for multifamily to 3.5 percent for office assets. Paskover noted banks and life insurance companies are being more conservative with office and retail. Rates are slightly higher for those properties and leverage slightly lower than with multifamily and industrial. As for the wall of CMBS maturities, Clark said, “there is a lot of CMBS office and retail that got securitized in 2006, 2007 and 2008. In 2017, there will be more than ample flow of that business to refinance.” New York-based research and analytics firm Trepp has reported just over $105 billion in CMBS 1.0 loans due to mature through 2017. Yet the CMBS volume is still lower than expected, noted Steve Fried, principal & co-chair of West Coast originations at Los Angeles-based Mesa West Capital, a privately held debt fund manager and portfolio lender. “It’s important to have them as a component of the debt. It’s a significant part of the market, important for the exit and takeout of a lot of deals as well,” Fried said. And CMBS lenders are trying to close loans before the CMBS risk retention rules begin in late December, when they will be required to maintain 5 percent of securities in loans on their books, Paskover noted. On the other hand, Gary Mozer, principal & managing director at George Smith Partners, a national real estate investment banking firm, sees “plenty of CMBS money out there.” But he agreed banks and CMBS lenders are getting more conservative, especially in markets where there aren’t demand drivers. “I’ve seen cap rates move up 25 to 75 basis points in secondary and tertiary markets because of the capital constraints,” Mozer said. Multifamily is still the asset class with the most liquidity because of Fannie Mae and Freddie Mac. 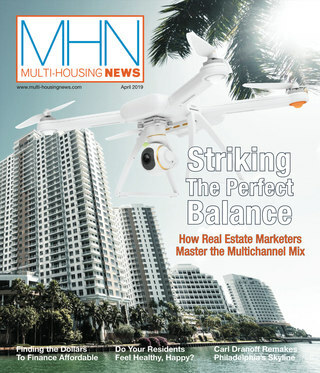 “We like multifamily a lot now just in terms of trends: generally lower-volatility, cash-flowing assets,” said Fried. And for Hunt, Fannie Mae and Freddie Mac business never slowed down this year, particularly for loans for affordable workforce housing or green energy deals, according to Clark. Hunt is also having a record year for small-balance loans, closed $125 million in multifamily bridge financing during the first half of the year and plans to launch a proprietary-lending unit next year that aims to write between $750 million and $1 billion in mortgages. “Lots of groups like us are rolling out proprietary product designed to directly compete with CMBS with a whole lot fewer headaches,” Clark said. 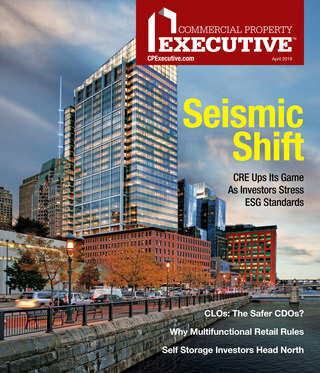 Originally appearing in the December 2016 issue of CPE.